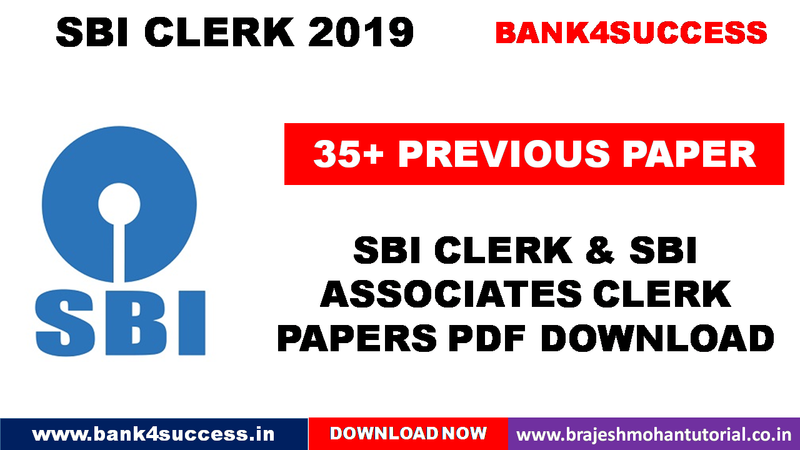 SBI Clerk Previous Year Question Papers PDF from 2018, 2016, 2015, 2013 to 2011. 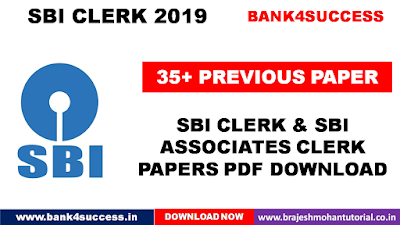 In this Article we are sharing SBI Clerk and SBI Associates Clerks Previous Year's Questions Paper from 2008 - 2018.Free Download 35+ SBI Clerk Previous Year Questions Paper PDF. SBI Clerk Previous Year Question Papers PDF - These papers will help the candidates to prepare better for exams as it will help them to understand the type of questions that come, along with level of difficulty of questions. As we have arranged all the SBI PO Previous Year Questions Paper on Yearly Basis.